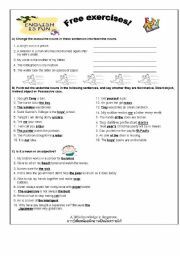 this is the extra worksheet to check their understanding at the end of the class. 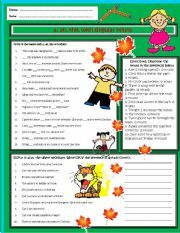 Objective of Learning: Students will be able to recognize adverbs and distinguish them from other parts of speech. Introduction! There are many different ways to form questions. We will look at two kinds of questions. 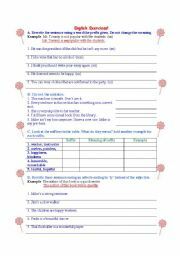 One is called a yes / no question and the other is called a WH- question.When you are sure that your students understand the lesson, you can continue with the exercises. Get it to your kids with colorful paper! 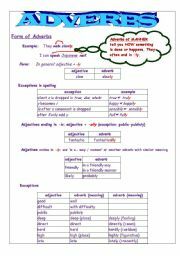 This is the extra worksheet to check their understanding after the class. To finish the first semester, my students were expected to do a final projects on the topic " Holidays & Festivals Around the World".Here are some of my students� work.There are some questions at the end of the PowerPoint to get feedback of other students. I hope you find it useful. 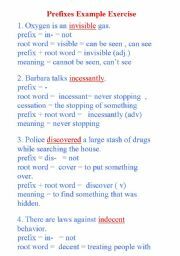 It�s a good idea to help your students improve spelling by learning the spelling of the most often misspelled words in English. 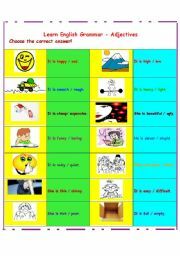 Here, students have to choose the correct word to complete each sentence. I hope you will use it!